In the beginning there was jazz. A deviation from the conservative pathway of European musical tropes, jazz was America’s original counterculture. Largely defined by the ingenuity of its artist, it found structure in a lack thereof, improvisation its blueprint. With such an inherent flexibility, jazz engaged many a strange bedfellow, bearing immeasurable fruit. Bebop, swing, cool, modal, hard bop—the list is endless. And that is why we are here today. 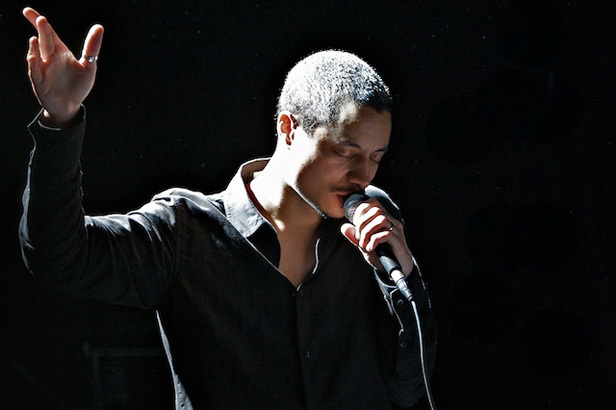 It is through this lineage that we have Jose James. 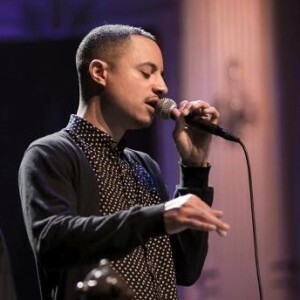 A product of the jazz tradition, his work has captured audiences across the world due to its genre-melding versatility and technically sound musicality. And yet, even with such an appealing auditory style, there are still those that eschew his progressive tendencies for a more “conventional” approach. It’s an odd reality, one that James has no problem articulating. His word is most definitely bond. Recently, iRock Jazz sat down with James to talk about the future of jazz and where the new vanguard, of which he is at the center, fits into this greater narrative. iRJ: How would you define jazz? JJ: I probably wouldn’t [laughs]. Like Duke Ellington said, the term is not large enough of an umbrella to cover the myriad styles. I think that most people, when they think of jazz, think of a specific time or a specific group of artists. Ask somebody on the street who’s jazz, they’d probably just tell you the five people that they know—maybe Miles Davis, Billie Holiday, Ella Fitzgerald, you know, the classics. Maybe they’d throw in a Norah Jones or a Michael Bublé for the more popular people now. Honestly, I try not to think about the genre, I just think about good musicians and good music. iRJ: What is the risk when you begin messing with tradition and decide to put your own spin on the music? JJ: I think there’s a risk either way. You’re always going to be compared to the greats of yesteryear. Personally, I think there’s no way that you can top that. There’s nobody that can sing “Oh, Lady Be Good!” better than Ella. That’s just not possible. Instead, you have to find your own voice. And that’s been the tradition of jazz. It’s kind of a strange thing. You start by copying people, and then eventually find your own voice, hopefully. And then the challenge becomes… is your voice important enough or strong enough or even valid enough to kind of warrant people’s time, energy and money. So, it’s not an easy thing. People spend an entire lifetime trying to find a sound and a voice. But again I think it’s really gone beyond that. Now the question is, what is the artist’s role? More and more the artist seems to become a brand of a lifestyle or a worldview or fashion or a sound. I think that wasn’t really the case for the masters because jazz was a popular medium, but now it’s about individual artists in a way that it never existed before. iRJ: What would need to happen for this new generation of artists to be in the forefront of the music scene? What needs to happen for jazz to become this popular music again? JJ: Jazz was mostly about standards for a long time—the Great American Songbook, the Broadway show tunes from the 20s, 30s, 40s, 50s, etc. That’s less relevant for people my age and younger, and it continues to be. I personally like those songs as a songwriter, but the relevancy is lost. So I think the thing is doing what I’m doing, doing what Robert Glasper is doing and writing original material that reflects the world we live in today. That’s what Max Roach did in the 60s. That’s what Duke always tried to do and Miles, as well. I think that’s the first thing. I also think that the sound of the music has changed and has to continue to change. Again, just to talk about the [Robert Glasper] Experiment, they’re using a lot more electronics. Robert hardly ever plays the acoustic keyboard these days with the Experiment. They’ve found a sound that is very contemporary, and I’m trying to do the same thing. iRJ: What are the key elements that comprise this new movement of progressive artists? JJ: It’s very black [laughs]. And it’s very young. It’s a lot of artists who just grew up on hip-hop, who don’t think twice about it. Kris Bowers, who’s in my band and has a new release coming out at the top of 2014, is a great example. It has a lot of collaborations, a lot of cross-genre stuff, some indie rock vibes, some singer/songwriter material, etc. All of the things that combine these musicians—I put Jamire Williams and Ben Williams in there also—is that now a lot of them are writing their own stuff. In the 50s, you had cats on Blue Note who were just writing their own hard bop stuff. They were coming from the same place, but with their own distinct take on it. I think that’s what’s happening now. You have guys that are in their mid to late 30s on down that grew up on hip-hop, and it’s just informing what we do. I’m really excited to see how this progresses. It’s just a different way of expanding the focus in a positive way. Quincy [Jones] has shown better than anybody that when you use that harmonic language and sophistication in way that makes people move then there you go. So I want to see more of that. I know all of us want to see more of that, and that’s what we’re trying to do. iRJ: Do you think that critics are asking you too much about what you’re doing with the music instead of just enjoying it in the moment? Do you think they’re focusing on the wrong things? JJ: Well, yes and no. I think that you have to respect people where they are. I think any change in art is always accompanied by pressure and questions—Why are you doing this? I do think that it’s important to kind of block out naysayers and people who just aren’t ready. I’m working on some stuff right now that I’ve already gotten some pressure about because it’s a different direction, but, at the end of the day, all of the master musicians that we love changed all the time, right up to pop music—someone like Madonna, someone like Michael Jackson. If you’re a true artist, regardless of genre, you’re going to change and evolve. I think it would be kind of helpful if the business community or critics would focus on more positive things. For example, with Glasper, he’s setting up a new generation to just enjoy music. That’s important. He’s bringing a legacy of black music forward and collaborating with a lot of people, as did I with No Beginning No End. I think what we’re trying to do is bring it back to that community, because I think what happened with jazz is that it isolated itself into just the jazz world—and a lot of players are stuck there. It’s interesting because I have a lot of private conversations with older, more straight ahead players and they have a lot of respect for what we’re doing conceptually, if not artistically. They see what we’re doing in terms of building a new audience, playing on the Tonight Show and things like that. It’s about bringing this conversation forward into new arenas, because, if you’re not at the table having the conversation, your music’s not at the table either. iRJ: Congratulations on being a new father. How has that affected you today? JJ: Thank you, man. To me as a person, as a man, it’s just been fantastic. All of the clichés are true. It’s a blessing; it’s a joy. It’s given me a new sense of purpose. I have a drive. I haven’t necessarily been writing “Isn’t She Lovely” or anything yet [laughs], but I think what she’s given me already is just a very sharp focus. Once you are a parent, a lot of those little things that you obsess over go out the window because you just don’t have time. Your focus has to be, by necessity, a lot tighter. Even the way I’m working on this new album has changed. The last time, I spent three years on just sketching. And on this one, if a song works, it works; if it doesn’t, I just throw it out the window and keep moving. It feels good working faster, more precise and with more passion. I’m really curious to hear what people think about the new album. It should be interesting. iRJ: Why does your music matter? It matters because, first of all, it’s important to me as an artist. This is a worldview of mine that I want to put out to the world and perpetuate. Thankfully, people have heard it and it resonates with them and brings beauty and joy. Hopefully it helps answer some questions or get someone through some tough times or celebrate or make love. So, to me, it always begins with myself and my journey as an artist, as a writer, and a musician and performer, because I always want to challenge myself. The end goal is to inspire. I’m blessed to travel around the world and bring this music to places that I never thought I’d go, let alone my music. The great thing is my music precedes me. So, for example, I played in Georgia, the other Georgia [laughs] and I’ve never been there before and didn’t really know what to expect—and the Georgian people were super soulful and they knew my music. And that’s a really cool feeling, to go into a country that you’ve never been to in your life and you get off the plane and you have friends waiting to celebrate life with you. That’s a pretty awesome thing. That’s the power of music. I’m going to keep doing this my entire life. 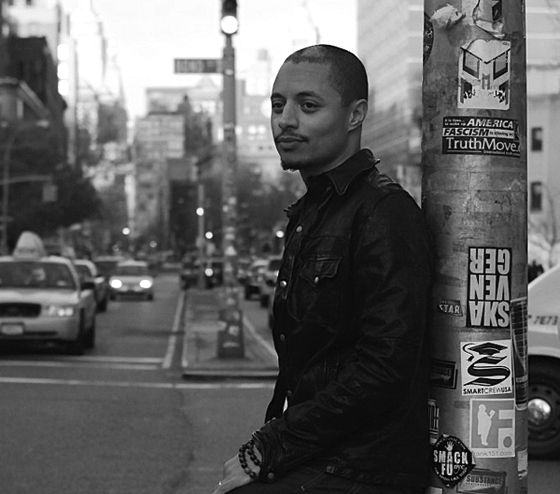 Jose James is situated in absolute irony. By pushing his music forward, he manages to be the most traditional artist of them all. What he understands, and what those critics that dismiss his work have forgotten, is that jazz was never about standing still. Like the people listening to it, jazz will never, ever stop moving. If we are to try and define the indefinable, jazz is everything and nothing at all. It’s a journey. It’s a space in time. It’s a whole bunch of clichés that don’t mean much of anything, except for what the artist intends it to. Miles knew that. Herbie knew that. And now Jose knows that too. This is why critics told them that they weren’t “real jazz.” And to be completely honest, it doesn’t even matter if you call it “jazz.” Frankly, you can call it whatever you want, because, while you’re arguing about what is and what isn’t, the rest of us will just sit back and enjoy this “good music”—no label necessary.